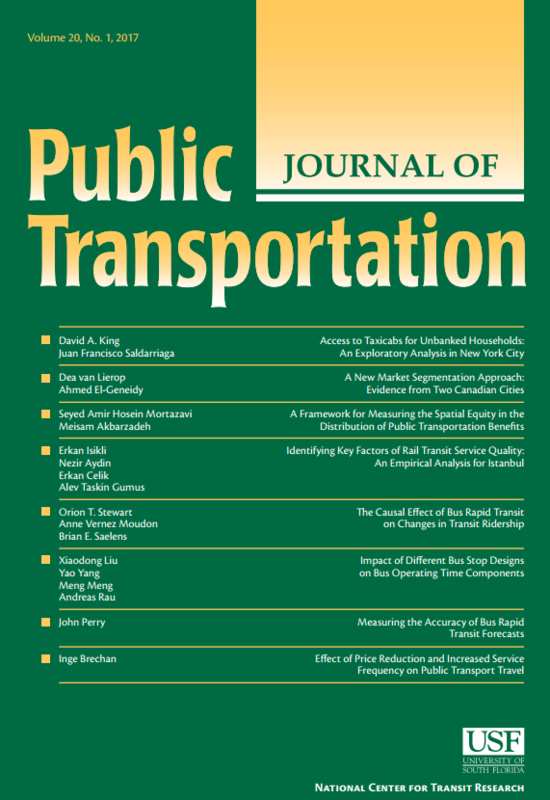 We hope you will download Issue 1 of the 20th Volume of the Journal of Public Transportation – now available! 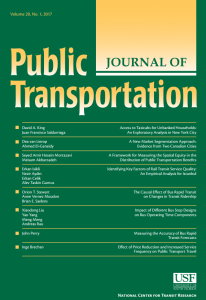 We have eight fantastic peer reviewed papers covering a wide range of public transportation topics, including taxis, market segmentation, spatial equity, rail transit service quality, BRT, bus stop design and more! Issue 1 is available for download.